Chief Aguillard opposes Sheriff Garber’s tax. Lafayette law enforcement is at odds. Aguillard speaks at the 2016 press conference announcing his appointment to Lafayette chief by Robideaux. With just days to go before the sheriff’s tax hits the ballot, Lafayette Police Chief Toby Aguillard has removed longstanding doubt about where he stands. The chief broke his silence Wednesday morning, officially opposing the tax in an email sent to his 349 employees. In his memo, Aguillard explains the sheriff failed to enter into an agreement with LCG regarding splitting the tax revenue, echoing an argument offered by the local police union, which initially supported Garber in his effort. 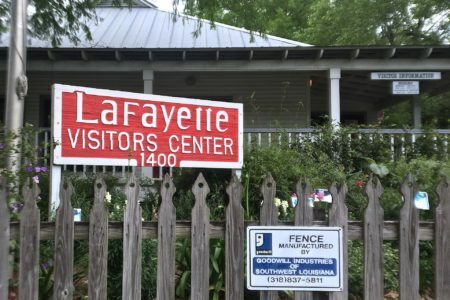 “The lion’s share of the tax revenue will be collected from within the city limits of Lafayette,” he writes, but only a small percentage shared with LPD. Ultimately, Aguillard tells his officers and employees, he can’t support the tax. Aguillard’s decision caps off an anguished and twisting runup to Saturday’s vote on the controversial tax. Where once the chief appeared at odds with his rank and file, he now finds their interests aligned. That’s not how it was when Garber’s tax got away from him, prematurely announced during an interview with The Daily Advertiser. It’s a tax more than a year in the making that Aguillard, for reasons still unknown, did not appear to support the tax measure from the outset. He did not respond to requests for comment about the tax earlier this year. When a colleague and I walked into Sheriff Mark Garber’s offices in late May to interview the sheriff about his proposal, then a three-quarter-cent tax, two Lafayette police union reps joined the interview. Their presence was unexpected. It was an unconventional coupling. Those Police Association of Lafayette representatives, President Scott Rummel and Vice President David Stanley, were fully backing the sales tax proposition and planned to support it publicly; at the time Garber said he would share with the Lafayette PD 50-50 the sales tax collected in the city of Lafayette (approximately 70 percent of the revenue is expected to come from the city) if the measure were to pass Dec. 8. That would have amounted to about $14 million annually for the Lafayette PD. “They’re my biggest partner in this,” Garber said of the association at the time. It was a big deal for the Lafayette PD, which has a $36 million budget for 2019, approximately $16 million of that for salaries. It’s no wonder the union reps were thrilled. The union — approximately 265 of the Lafayette PD’s 288 officers are members — is accusing Garber of a “tax and switch” ploy and has peppered its Facebook page with language questioning his truthfulness about sharing revenues. Not on board, we quickly realized, was their chief, as well as Mayor-President Robideaux and the Lafayette City-Parish Council. The local union, it’s worth noting, has no authority to negotiate on behalf of the Lafayette PD. Neither Garber nor the police association reps could spell out a clear path to getting the unusual approach before voters, acknowledging that there was work to be done to iron out the agreement and ballot wording. Garber said at the time he had been consulting with The Picard Group on the measure since the fall of 2017 and had formed a political action committee to finance an ad campaign. Still, even after repeated attempts, we couldn’t get straight answers for why Garber was talking exclusively to the union and not the chief. The union reps said they went to Garber at the beginning of 2018 after they got wind of his plans because they’d been considering their own ballot measure and didn’t want to hit voters with separate law enforcement taxes. We got the sense that both parties were ready to go it alone, with or without the chief. It was well-known at the time that the relationship between the union and the chief was strained; that also seemed to be the case between Garber and Aguillard. Garber, fourth from right, looks on during an implicit bias training conducted by LPSO in 2016. It didn’t take long for the strange bedfellows, the sheriff and the union, to fall out. Within a couple of months, Garber’s biggest opposition to the tax had become the police union. According to the union’s David Stanley, the falling out happened after Garber submitted the ballot language to the bond commission on Aug. 7, excluding any mention of sharing proceeds with the Lafayette Police Department. Garber didn’t notify the union of the exclusion until after he had submitting the wording, according to Stanley. Garber, it seems, had over-promised, and his unorthodox approach — teaming up with the union — may doom the best chance the half-cent sales tax has of passing. Sheriff’s spokesman John Mowell points the finger of blame at the union reps, saying they didn’t live up to their assurance to bring the council on board with a resolution supporting the measure. “The union never could provide what they would do with the dollars,” Mowell says. Mowell also says Garber’s attempts to get Robideaux to back the proposal and support a council resolution likewise went nowhere. Once Garber realized he could not just split the revenue from the city 50-50 with Lafayette PD without specifying on the ballot how the money would be used, Garber pressed the administration to tell him how many police officers would be hired and what that would cost. It’s a big grab for the sheriff — a permanent sales tax that will generate $25 million in its first year, $1 billion over the next 40 years. If the tax passes, he’s promised to eventually reduce or eliminate one of the property taxes funding his office. The following day Garber submitted the ballot language with no mention of Lafayette PD. Feeling betrayed, the police union pounced that afternoon, issuing a press release. “After several months of commitment to work with the Police Association of Lafayette and several media interviews, stating he had the legal authority to do so, Sheriff Mark Garber has removed any revenue for the Lafayette City Police from his sales tax proposal,” the statement reads. The release goes on to claim that the sheriff does no work within city limits yet he intends to tax city residents to make whole deficits caused by his “mismanagement of funds. 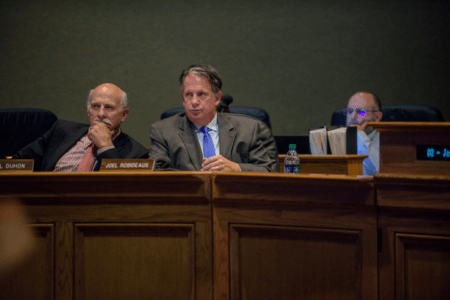 Unable to strike any kind of deal with stakeholders in Lafayette, Garber has since turned his attention to the other municipalities in the parish for support and succeeded at bringing all of them into the fold to help sell the tax. In what he says was a show of transparency, Garber filed a resolution with the Lafayette Parish Clerk of Court in mid-November, spelling out how the revenue would be used and creating a covenant he says will serve as a legal contract with voters. According to The Advertiser, the covenant states that some of the tax revenue would be spent on law enforcement services throughout the parish through intergovernmental agreements with each municipality, including Lafayette, Broussard, Carencro, Youngsville, Scott, Duson, UL Lafayette and the city marshal’s office. While those other departments are appearing in campaign materials to pass the tax, Lafayette PD and Robideaux have yet to even say they will enter into such an agreement. The sheriff now proposes to give the Lafayette PD a $350 pay raise for each of its 288 officers. That’s $1.2 million a year — a far cry from $14 million. “It’s impossible to say at this point,” was Robideaux’s response last week (11 days before the election) to KATC’s inquiry about whether he supports the sales tax. The mayor-president told KATC if the tax passes, there may be legal issues to work through before any money could be distributed to other law enforcement agencies. “Right now, it’s still unclear if the tax passes if the Lafayette Police Department will accept the money,” KATC writes. The opinion was issued to then-St. Landry Parish Sheriff Howard Zerangue, who wanted to supplement the salaries of the Opelousas PD but was unable do so because the 2004 ballot language for the tax money he hoped to use specified that the money would be used for “deputy salaries and law enforcement operations.” Opelousas police officers are not deputies. Or so that’s the argument Garber et al are making while also pointing to other parishes, like Acadia and Jefferson, that have similar tax-sharing arrangements. 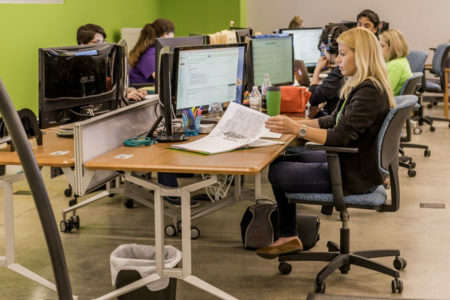 The question now is whether Aguillard’s 349 employees and their friends and families will be influenced by his opposition — or that of the union reps Garber called his “biggest partner” just six months ago.